By LUDWIG VON KOOPA - It's all gone now, but like a phoenix, it'll rise from the phazon. ...Or like a Ridley. We can now confirm that Retro Studios is working on Metroid Prime 4 with Nintendo producer Kensuke Tanabe leading them, instead of the prior situation with Mr. Tanabe leading an unknown, new development team. Those mystery men couldn't cut it, so Nintendo is scrapping everything they did for quality reasons and they're having Retro, the Nintendo studio that developed the three prior Metroid Prime games, work on it. Nintendo might do this kind of thing often, but it doesn't get to public attention or happen to games that already had publicised announcements. The only other example I can think of was the Mother game that failed to come out on the Nintendo 64. That means today is big news, but it's hard to really get into it because we never knew anything about Metroid Prime 4 anyway. The logo still looks the same, too. Nintendo could've not made this announcement and did the development reshuffling behind-the-scenes and we'd be none the wiser. We'd just be wondering what's taking so long, but people already think that. Remember, it's not a delay when the release date was To Be Announced to begin with! It still fits in that release window. 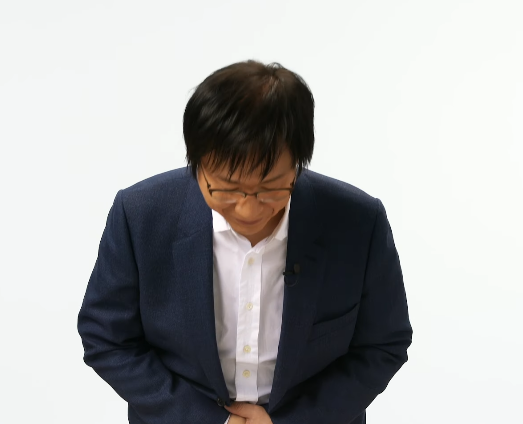 I am Shinya Takahashi, and I'm responsible for development at Nintendo. Thank you so much for playing Nintendo games. I wanted to speak with you today to give you an update on Metroid Prime 4, the newest title in the Metroid Prime series. We deeply understand the high anticipation that Metroid Prime series fans have for this title. We have felt it especially from the passionate words from fans we heard when we first announced this title at E3 the year before last. Ever since the announcement, we have not been able to give you an update, but as a result of the continuing development since that time, although this is very regrettable — we must let you know that the current development progress has not reached the standards we seek in a sequel to the Metroid Prime series. Nintendo always strives for the highest quality in our games; and in the development phase, we challenge ourselves and confront whether the game is living up to that quality on a daily basis. If we're not satisfied with the quality, we aren't able to deliver it to our customers with confidence, and the game will not live up to our fans’ expectations. From this perspective, we have determined that the current development status of the game is very challenged, and we had to make a difficult decision as a development team. We have decided to reexamine the development structure itself and change it. Specifically, we have decided to have the Producer, Kensuke Tanabe, work in trust and collaboration with the studio that developed the original Metroid Prime series, Retro Studios in the United States, [flash Retro Studios logo], and restart development from the beginning. By collaborating and developing with Retro Studios, we believe we can make this game something will meet our fans’ expectations. We did not make this decision lightly. This change will essentially mean restarting development from the beginning, so the completion of the game will be delayed from our initial internal plan. We strongly recognize that this delay will come as a disappointment to the many fans who have been looking forward to the launch of Metroid Prime 4. I'd like to extend my deepest heart-felt apologies to everyone that the launch will be delayed. It will be a long road until the next time we will be able to update you on the development progress, and development time will be extensive. However, we will continue developing the game so that when it is completed, it will stand shoulder to shoulder with the past Metroid Prime series titles. On behalf of Nintendo and Retro Studios, I sincerely appreciate your understanding. I'm not going to be vicious here and ask “how did [controversial game] release and meet Nintendo's standards?” I'm just wondering why they said they make daily determinations about a game's quality standards. They don't really mean that, right? Maybe weekly or monthly. Daily is dangerous. By the end of a development day, a game could encounter a giant glitch and be unplayable! Would it get cancelled then? Or, in the case of Metroid Prime 4, maybe they really do mean monthly or even quarterly, since if it was challenged this whole time it would've been scrapped a long time ago. Maybe daily just sounds more impressive. Should've said hourly. Anyway, the Retro Studios of today is different than the Retro Studios of a decade ago, but Nintendo obviously knows that already. It's at least a pleasant PR move to fans that attach studios to game franchises. In reality, a company with several studios making decisions like this will shift it to whoever has the most capacity and ability to get the job done, not just because Retro historically has worked on the Metroid Prime games. One wonders what Retro Studios has been working on the whole time, but we'll find out eventually. Maybe nothing much, hence why they're able to be working on this! Or maybe they can work on multiple things simultaneously. Ludwig isn't a big Metroid Prime fan to begin with, so he's fairly neutral on this situation. He would hope that no one should really be upset about this announcement, however, since nothing has happened to the game's public image. It's still just a subject-to-change logo with no details. If you feel more strongly, feel free to comment in the comments section. It's great to see some transparency in an industry that does not always share how the development of a game is coming along. Like you mentioned, they could have kept it underwraps and we would be waiting years and never would known that the title was being worked from the ground up again. While I have not played any of the Prime games, I would be willing to give them a try if the trilogy was ported to the Switch. Even if that does not happen, at least I still have Samus Returns on my 3ds to complete in the meantime. Quite frankly, creative industries companies shouldn't be sharing that information. So they're smart not to. In other words, if companies invested in transparency, we would've seen a lot of Metroid Prime 4 over the past year and a half. And the impression would not have been good. I've seen a lot of people ask for a Metroid Prime Trilogy HD for the Switch. It confuses me why. I remember when Metroid fans were upset that they got a remake from E3 2017 in Metroid 2. Now they're all for remasters of THREE games. On the other hand, go too far on the opaque end of the spectrum and you get the situation we had with Kingdom Hearts III--or even a certain other "3" for the PC that I refuse to name. Very, very good and timely point. I didn't even realise until yesterday that Kingdom Hearts III was even coming out next week. It still feels like it's just never releasing. What Is A Good Game Purchase? Project Wendy: Wendy's Driving Exam!